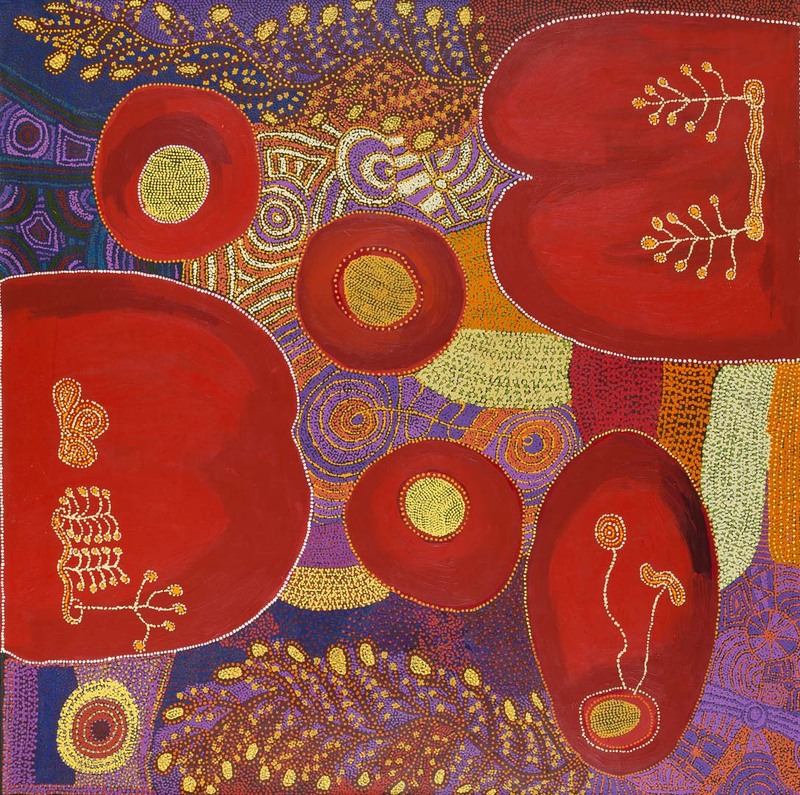 Ruby Tjangawa Williamson, Nita Williamson, Suzanne Armstrong (Australian; Aboriginal — Pitjantjatjara people, South Australia; Contemporary): Ngayuku ngura (My country) Puli murpu (Mountain range), 2012. Synthetic polymer paint on linen. Queensland Art Gallery | Gallery of Modern Art, South Brisbane, Australia. © This artwork may be protected by copyright. It is posted on the site in accordance with fair use principles.